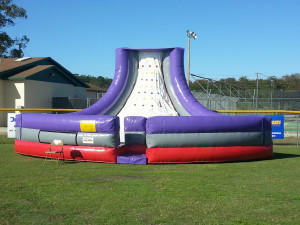 Slippery Slope | JumpyKing.com Bradenton FL. Our Slippery Slope is the interactive that everyone will love. 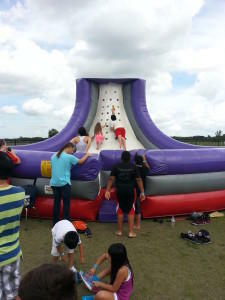 Players compete to scale the Slippery Slope to see who can reach the highest point. Each player is given a set of flags that velcro on the colored markers. Who every manages to tag the highest marker wins. Players slip and slide but keep coming back for more.